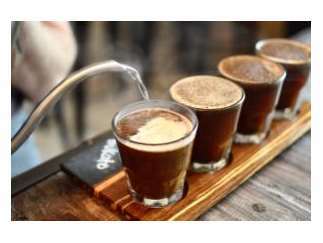 If you ever wondered why coffee people talk about where their coffee is from, then join Press Coffee Roasters for Coffee Tasting classes at its new Scottsdale Waterfront cafe. These one-hour sessions take you around the world with a sampling of four distinctly different coffees. Based on the coffee cupping format that coffee professionals use to evaluate beans and roasts, the tasting is an interactive experience of smelling, slurping and learning. The coffee experts at Press will guide you through a brief history of each coffee and how their journey from seed to cup has created the flavors you taste today. At the end you'll have a much better understanding of coffee regions and flavors.